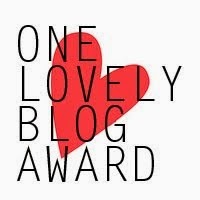 I was nominated for the ONE LOVELY BLOG AWARD a couple of months ago by Bill Cunningham, Diane Mannion and Emma Gray and you can find out more about them here – W.C. Cunningham Writes , Diane Mannion Writing Services and Emma Gray’s Blog! It has taken me ages to get round to writing this because when I was nominated I was deep in the middle of trying to get my novel out but this post has been on my ‘To Do’ list during my catching up phase so here I go. The rules of this blog hop type award are that I share 7 facts about myself, and links to 15 blogs that I enjoy reading. If I have nominated your blog, please don’t feel any obligation to join in (I would imagine many, if not all, of you have already taken part in this if you’ve wanted to by now) but if you do, please link back to the blog of the person who nominated you (that would be me), share 7 facts about you that we don’t know, and nominate 15 blogs you like. If you don’t have 15, nominate as many as you can. 1. Certain aspects of my memory are shocking. I’m quite good on a day to day basis, though that may be because I make many notes but I have vast periods of time in my life which I honestly do not remember at all. I am constantly astonished by the things other people post on Facebook and the like about, for example, pieces of music they enjoyed in the 80’s. How do people remember this stuff? My biggest annoyance is my inability to remember quotes, well book titles and their authors as well (and whether I’ve already read them or not!) but quotes in particular. I love quotes, Bill for example often starts off his posts with one, and I savour them but the chances of me ever hanging onto those words are nil. I probably need to make another list! 2. Horses have been my constant passion in life, though for several reasons I have had little to do with them recently but l love everything about them. If you’ve read my books you may have guessed this! I’ve put a picture here of the only horse I have owned. 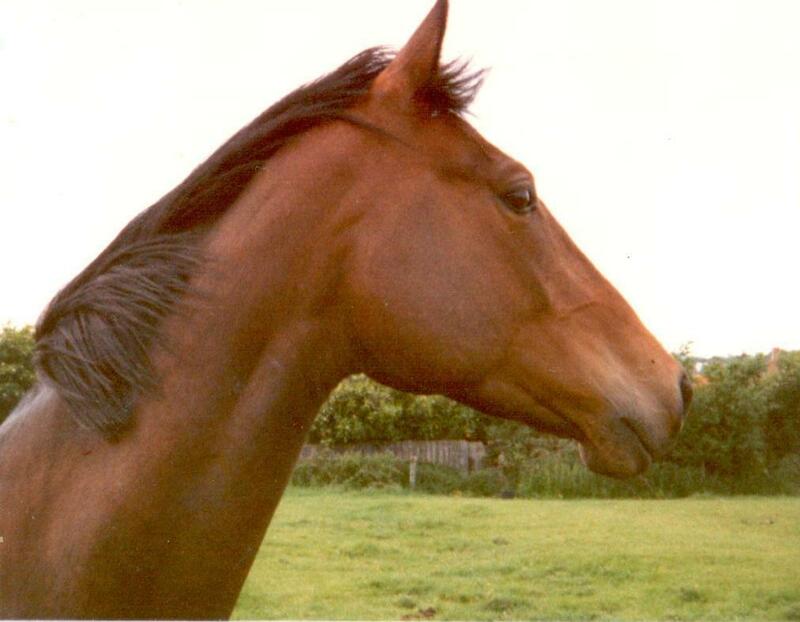 He was called True Grit and I would defy you to find anything more handsome than he is! 3. I adore driving and can’t imagine not being able to do so. Driving is a necessity where we live and as with all things (like cooking!) the day to day drudgery of it is nothing special but offer me the opportunity of a road trip and I am there, hand up, first in line. In racing terms I would probably suit rally cars and would quite fancy a turn around the Kielder Forest but obviously try to behave myself on the open road! Bill Cunningham wrote a post recently on a spectacularly long road trip he was forced to undertake recently due to circumstances out of his control and his need to get back home for a particular reason and you can see that here. Whilst I would not have wished to have gone through what he did, I did hanker after the wide open spaces of the US. You can go on road trips there the like of which we can’t even begin to imagine here in the UK. 4. I have an interest in Greek Mythology. Quite an interest actually stemming from school but due to my problems outlined in 1 above I struggle to remember any of it. Having answered the occasional question on this topic in the past my family unfortunately believe that I am the fount of all knowledge in this area. The merest mention has them all turning in my direction, and if it’s a quiz question they all wait with bated breath, and I feel the pressure of their eventual disappointment. I have a book on the subject which I have tried to read whilst absorbing (and hopefully retaining!) the information but so far it’s just not sticking. I really have to do something about that! I would love to put one of Brian’s pictures here and will contact him to see what’s possible but for now please visit his site and check out his work. 6. I am a completer of things and this is something I am struggling with constantly in this publishing world of ours where there is so much information coming at us from every direction and I want to read all of it. This is actually impossible unless you are able to devote yourself full time to this and even then I think you would be stretched too far. The problem is that there are so many terrifically written posts out there full of so much useful stuff and it is a constant battle where I have to force myself to let it go and try and be satisfied with what I can manage to read. 7. Unlike Emma Gray I have never gone on any sort of gaming device to play any type of game. This is mainly because of 6 above – I know this part of myself well, I have an addictive personality and I know that should I ever start on anything of that ilk I will never let it go until I have completed every challenge, level or quest set before me. This is where the competitiveness that was so sadly missing on the sports field would come out and it would consume my life totally so is one thing in my life where I know I just have to say – No. Rosie Amber – Book Reviewer, Avid Reader and Bookworm. Campaigning to link more readers to writers. A Woman’s Wisdom – A place to discover fabulous storytellers plus book reviews, life and humour. This entry was posted in The story of a new author, Writing and Sharing. Bookmark the permalink. Thank you I’m very honoured. Thanks Terry! I totally understand the not driving thing if you live in/near a town particularly as I’m always the designated driver! Ah yes…your questions!! Starting to wonder what you’re going to come up with now! I look forward to hearing what you think of Before the Dawn!! Good idea, there are so many blogs, and so little time, getting a few solid recommendations is great. I am therefore very honoured to be on here as well, thank you very much! Driving can be fun here in the U.S. provided one takes the time to enjoy the scenery. Although the freeways are faster, the back roads and detours make the trip. As for gaming… I have that same personality and really don’t want to find myself sitting in front of a gaming center from Friday evening until sometime Sunday trying to master a game. I played a silly game for a few months on FB and learned my lesson on gaming. When I was planning my day based on when crops could be harvested…. well you know, lol. A great post Georgia, it was good to find out more about you. I know where you’re coming from with the memory thing because I’m the same. I think that when you lead a busy life with so many things to think about it definitely has an effect on your memory. Strangely, my long term memory can be sharp in certain areas and I can remember some events from decades ago really clearly. Blog hops like this are a great chance to connect with other authors and bloggers. I’m familiar with some of the blogs you’ve listed above but I’ll try to check out some of the others when I get a chance. I also would love to drive a few rally stages round Keilder. In the late 70’s I used to watch the RAC rally go through there – usually in the freezing early hours in November. As a sci-fi writer I find Greek and Roman history a great source of inspiration, such different worlds.